Looking for some interesting articles on everything to do with your backyard? Well you've come to the right place. Is a hedge better than a fence? Hey Aucklanders - money does grow in your backyard! It’s that time of the year again – the time when supermarkets and retail stores pack their shelves full of delicious and delightful Easter goodies. The smell of hot cross buns is wafting out of the corner bakery, and sticky fingers eagerly unwrap caramel-filled eggs with sweet and sugary chocolate shells. It’s not Easter without boxes and boxes of eggs lining the shelves, but it’s also not Easter without an egg hunt. If you love celebrating Easter, then now’s an excellent time to start planning an Easter egg hunt to remember. After all, the kids are only young once, and the longer you can keep the magic alive, the better it is for their imagination. You may even find it encourages them to spend more time outside. If you’ve been shopping and have a basket full of goodies at the ready, here are a few of the many places in your garden you can hide them. It will be surprising if the kids can even find them all! When your cherubs make their way into your garden, baskets in hand, on the hunt for Easter goodies, they’ll have their focus on the ground. However, why not make it a bit of a challenge by hiding all the desirable ones up high? Place one on the top of the basketball hoop, another in their treehouse, or even dangle one precariously off your perimeter fence. The goal of hiding eggs up high in plain sight is to make the kids work for them. They have to work together and put their thinking caps on to figure out how to get them. An Easter egg hunt can be both an educational experience and something fun to celebrate the occasion. However, supervision for young ones should be paramount. Hiding Easter eggs in your garden is not about making them invisible. It can also be about being tricky with how you hide them in plain sight. Hide eggs wrapped in silver foil among your grey rock garden, and try to match coloured eggs with different environments. For example, if you haven’t yet done a garden tidy up, you can arrange green coloured chocolate eggs amongst your plants. You may also see value in matching pink eggs with some of your finest pink flowers. Hiding eggs in this fashion can make the process more of a challenge than merely picking up eggs with minimal effort. Kids will always gravitate to the areas they often frequent in their yard, so make sure you hide plenty of eggs in these areas. Include plenty in the vicinity of their playhouse, one on their swing and slide set, and even some under chair cushions or other play equipment. If you have some particularly tricky spots, then make those eggs something of value – such as boxed eggs of their favourite TV characters. It will be even more of an incentive to have eagle eyes during the hunting process. Once you’ve run out of areas to hide eggs amongst your furniture and kids’ toys, then focus on the natural hidden spots your hedges and trees provide. Secure them under the leaves of shrubs, in the base of hedges, or hollows of your trees. If your kids love to climb trees and you don’t want them to shy away from adventure, then up the trees is also an excellent hiding place for Easter eggs. Don’t be afraid to use your surroundings – all in the name of encouraging adventure and exploration. The most common type of egg for Easter egg hunts is, of course, the chocolate variety. Most people select a range of marshmallow and solid chocolate eggs that are small and inexpensive to buy in packets of a dozen or more. However, you can also do better this year. Consider bigger eggs that you can hide in challenging locations. Such rewards can be an encouragement for kids to challenge themselves and explore different parts of their backyard. Alternatively, you can invest in plastic eggs – with the goal being for each child to collect as many as possible. Some of those eggs can contain a golden ticket or sweet treats. If they get a golden ticket, they can bring it to you to exchange it for a treat of their choice. Such a method cuts down on their chocolate and sugar intake, but still gives them the thrill of the adventure. Easter is a fun and memorable experience for the whole family. However, you can make your Easter egg hunt even more so by putting effort into the hiding process. Challenge your children, make them think about what they’re doing, and encourage teamwork as well. The hunt can be educational as well as fun. Soil is soil. It’s brown, you plant shrubs in it, and when you look after those plants, they use the earth to grow and thrive. However, there is more to soil than its name. Did you know that in New Zealand alone, we have 15 primary soil types? If you’ve ever struck trouble with trying to get your plants to grow, then the soil you have on your property may be to blame. Read on to find out more about ground and soil types, and their role in your planting success. What Soil Types Do We Have in New Zealand? Around 43 percent of New Zealand has brown soils. They form our moist lowlands, hills, and mountains. In the North Island, there is a more significant percentage of Pumice soil. Much of this is around Taupo and surrounding townships. Around 1,800 years ago, a volcano erupted and sent pumice flying in all directions. We even have ancient soils at around 50,000 years old, and young soil that evolve with sediment every time a flood occurs. Then there are artificial soils— these form from landfill sites and earthworks, rather than thousands of years of creation. Every soil type plays its part in growth, but would it matter which type you had for fruit, vegetables, and other plants? It just might. Not everyone is an expert on soil. We’re more likely to take what we have and plant anything in it, hoping for the best. If you want to offer your plants the best fighting chance or match your plants to what soil you have, then read on. We can help you to work out what soil type you have. Dig a hole that’s about twice the depth of your spade. The top, a darker layer is called topsoil. The layer beneath it which is pale and denser is subsoil. The subsoil is where all the nutrients are, but it’s structurally inferior to the other layers. If there is red or brown soil underneath your subsoil, you have hardpan. Hardpan is compacted soil that does not allow water to drain or fine roots to take hold. If the earth in this area is grey or pungent in odour, it’s water logged. If you plant in it, nothing will grow well. You will need to break through it to change its composition over time. Is My Soil Full of Sand or Clay? Establishing whether you have clay or sandy soil is straight forward. Take some dirt in your hand and try to form a solid sausage shape. If it develops well, it’s clay-based. If it’s gritty and doesn’t create a shape, it’s sand. If it holds together, then falls apart once you touch it, it’s loamy and is the perfect soil type for a range of plants. Different soil types can affect vegetable planting quite dramatically. Organic matter is going to improve almost any soil type, but you can also try different material combinations with sand-based and clay-based soil too. With sand-based soil, incorporate as much organic matter as possible. Mulch it, add water, and use fertilisers such as blood and bone. Stay away from highly-soluble fertilisers that wash away. It can also help to keep digging the soil over. Clay-based soil may take a bit more hard work before you plant vegetables. If you don’t put in the hard yards, however, you might find it affects the growth of your vegetables. Add grit or sand to the soil to enhance its drainage capabilities. Avoid fine sand as it worsens the drainage rather than improves it. Add lime every couple of years if you’re happy to play the long game. If not, buy around 20 centimetres of topsoil to put on top so you can start planting immediately. What is the Best Soil for Planting? So many things contribute to the best soil for planting in New Zealand. Very few people will get it 100 percent right the first time. If you are having trouble, there’s nothing wrong with calling in the gardening experts who know how to make plants thrive. Healthy soil has plenty of air and water. It also has soil fungi, earthworms, microbes, and bugs to promote healthy soil life. However, you need to strike a healthy balance. Too much water prevents plant roots from being able to breathe. Too much air causes acceleration of organic matter decomposition. Then there’s acid and alkaline soil. Acidic soils are low in phosphorous, and alkaline soils lack iron and manganese. Aim for a pH level of between 5.5 and 6.5. You can buy a testing kit to find out what yours is. Different soils affect the growth of various plants. It can be a balancing act to put the right plants into the right soil environment. Once you establish what soil type you have, it’s about altering it to become one you can work with, or changing the plants you use. If you still aren’t sure how to create the most workable soil, then get in touch with other local gardeners. There are bound to be plenty of gardening experts near you who are willing to offer a helping hand. The problem with pesticides in lawn care and gardens is that it is made to kill, repel or control certain kinds of plants, animals, and insects which people consider pests. It is also applied to get rid of weeds and mildew. However, there are environmental and health risks which are involved when garden and lawn pesticides are used. You need to always take into account how to properly use them safely. Besides, there are both pros and cons when pesticides are being used, and you should know about both sides. Pesticides do have a use in society because they are used to destroy pests which can bring harm. Because pesticides help controls insects, weeds and other pests, it helps with crop growing and the economy. Because of the mistrust of the type of chemicals which had been used for pest control in lawn care and gardens, manufacturers have come out with biologically-based pesticides. These use pheromones and microbes as a base instead of harmful chemicals. The popularity of these types is safer than using traditional pesticides, and the Environmental Protection Agency has been registering reduced-risk conventional pesticides. Pesticides can help to keep destructive pests away from developing fruits and vegetables. Mice and insects can contaminate a whole plant which has bloomed which makes the plant useless for eating. When using pesticides, more plants survive, and there's a more abundant harvest. Pesticides also get rid of weeds when used in lawn care and gardens. When weeds grow in an area which is being used for food consumption, they make use of space in the soil which is supposed to be for crops. Plus, the weeds drink the water and will overtake and choke out other plants. Mosquitoes which carry yellow fever, malaria and the West Nile virus can be killed by pesticides. When used for this purpose, the pesticides are a prevention of these diseases. Reducing allergic reactions to wasps, ants, and bees are one way not to have these insects around when pesticides are used. Plus, since fleas are parasites and can make your dog or cat miserable, they can be shielded from this discomfort. Removing fleas from their origin and then making sure the infestation doesn’t start up again is one way that chemicals can decrease this. Pesticides are easy to get, and you don’t need to be a professional to use them. Whatever you need them for, whether it be lawn care or getting rid of fleas, they’re easily accessible. They can be bought at hardware stores and even grocery stores. Because of manufacturers competing for business, pesticides are more affordable as well. Lower food prices are the result of using pesticides because of losses being cut. If the harvest is small, then the prices of food will rise so the farmers recoup some of their losses. When using pesticides, then the harvest yield is higher, and the cost of food will be lower. The losses have been reduced so the farmers can offer their products at a lower cost. With using pesticides in both lawn care and gardens, there are cons which you need to consider. There are significant concerns that the mixture of chemicals used isn't safe for human ingestion. Plus, when used on lawns, if children are present, it can be dangerous to them. With children, they have vital organs which are still developing, so they breathe at a faster rate than adults do. This causes them to breathe in more pesticides, plus, they are closer to the ground. When pesticides are used, it can cause a decline in the pollinators. Bees and butterflies are affected by the use of the chemicals, and the rate of abundance is changed. Then the fruit and vegetable supply become lessened, and pollination isn't as effective. With agricultural production relying on pollination by insects, around 5-8 percent, some butterflies are becoming an extinct species. Chemicals from the pesticides can also harm animals as well as the environment. Since a pesticide is made to kill living things, it makes it harmful to those species which is intended to be used. There are a lot of animals which have been killed by eating the plants which have been sprayed with chemicals. Grass and flowers are affected when pesticides are used. Pesticides which have the chemicals fipronil and neonicotinoids are a threat to the environment. Plants ingest this type of pesticides through the vascular systems and then go through the other the plant's tissues, roots, leaves, flowers, and nectar. Pesticides used around the home for lawn care and gardens aren't really recommended for around residential homes. You may think that since the chemicals are readily acquired that they are safe, but it isn't true. Using pesticides can kill beneficial insects as well as affect your children's health. 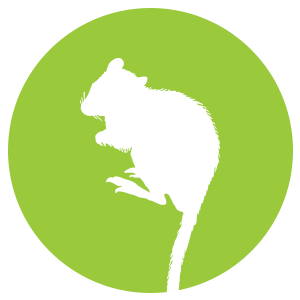 Plus, a pest can build up a resistance to chemicals over time. You will have to use more and more of these products to get the same result, making the whole process even more dangerous. Chemicals from pesticides can also affect the environment because 98 percent of insecticides which are sprayed, and 95 percent of herbicides go somewhere other than where they were targeted. So, air, water, soil and non-targeted species of insects and animals can be affected by contamination. This is called a pesticide drift that will carry to other areas and cause contamination. Water pollution is often caused by this pesticide drift. 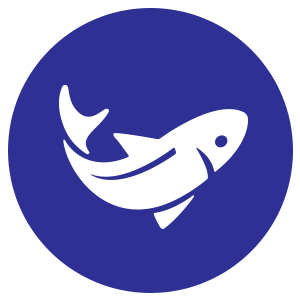 It can be ingested accidentally by humans which is hazardous to your health. This is especially true within the third world countries. Some farmers may be careless and not use the proper protection when using chemicals, such as gloves or face coverings. If they eat and don't wash their hands, the substances can be ingested which can cause respiratory problems. As you can see, the debate of using pesticides has two sides. It comes down to a personal choice of what you feel is safe to use or not to use in your lawn care schedule or in your garden. The festive season has finally arrived, and if you’re chomping at the bit to put your Christmas tree up, you can finally let loose and get started. Even though spending hours untangling Christmas lights can provide you with time to think about how to decorate the tree, don’t you think it’s time to get a little more creative than usual? Tinsel, baubles, and Christmas lights always look striking on any tree, but can you go one better this year? Below, you will find many quirky and fun ways to make your Christmas tree stand out from the crowd, as well as how to care for a real tree should you decide to steer away from the artificial variety. It doesn’t matter whether you have an artificial or real tree, choosing a vintage look is going to get heads turning. Instead of decorating it with baubles and tinsel, why not opt for flowers and natural-style items? Flowers, pine cones, natural wreaths and a tin bucket to house your tree in can make it look beautiful. However, the only downside to this look is that you may need to erect your tree nearer to Christmas if you use real flowers. Otherwise, they can die and look dismal instead! If allergies or a lack of time stops you from going down the real tree route, then why not get creative with your artificial tree? Instead of selecting a traditional green one, you can now get a range of beautiful colours. You can then select contrasting colour decorations to go on it for a contemporary and elegant style. For example, choose a white tree with black or pink ornaments, or a black tree with white or gold. Use striking colours and make your tree stand out from others. If you’re a big fan of traditional Christmas movies, then you will love looking at the big trees with all the trimmings. Some American families go all out on Christmas, with no expense spared on making sure the tree is dense with the best ornaments money can buy. If you get equally as excited about Christmas, then create the full traditional experience. Add that beautiful angel on top, use thick and bushy tinsel, and buy the most substantial baubles you can find. Go big or go home! Do you and your family have a hobby or passion? Then let it shine on your tree. If you’re passionate about family and your pets, then make your tree a real family affair. Cover it in photo baubles of your loved ones, and even get the pets in on the act. Instead of tinsel, you can even create your own ribbons out of colourful clothing. A themed tree is also an excellent way in which to remember those who have passed. If you’re short on time and have a house full of pets, then putting up the Christmas tree can become more of a chore than anything else. Even if you did take time to add a range of decorations, you would find most of them on the floor in pieces after your pet realised they were there! Go down the minimalist route and decorate your tree sparingly. Omit the tinsel and instead choose a few standout decorations to go on the front of it. Four or five can be all it takes to give your tree flair but also keep it easy-care. Many people don’t like to buy real Christmas trees because they think caring for them will be hard work. At most facilities, you have to select one, cut it down, drag it home, then spend hours vacuuming dead pine needles for most of December. However, even for all the labour, nothing beats coming home to the smell of fresh pine filling your home. If you haven’t had a real tree but would like to, then there’s no better time than now to bring one home. Below, you will find helpful tips on how to care for your real Christmas tree. Leave your artificial one in its box until next year! When you bring your new tree home, cut the trunk above the initial cut you made so it can drink water, then place it in the stand you prepared earlier. Anything that creates heat can accelerate moisture loss in your new Christmas tree. Place it away from the heat pump, fireplace, and even TVs. Once you have set your tree up, water it with plain warm tap water. Add around four litres to the stand and check the water level daily. You may find that on its first day, it can consume up to eight litres of water. Keep it moist. Whether you’re jazzing up an artificial tree or a real one, nothing spells the beginning of the festive season better than a beautiful tree taking centre stage in your home. If you are yet to put a tree up, why not consider these fun options above and try something different? The world is facing a waste crisis, with not enough of our everyday products being recycled, and too much going into landfill. However, with parts of the world considerably at risk of being lost to plastic and other trash, it’s important to look at what we can do to shrink our environmental footprint. New Zealand, while a small country, is still contributing to a growing problem, with 2.5 million tonnes of rubbish, or about one tonne per household, going into landfill every year. Did you know that a lot of what we are throwing away we can actually use in the garden? While gardening isn’t for everyone, you would be surprised at what you can consider to be garden waste or green waste, breaking down in your own yard for use in gardens and soil. There’s no time like the present to join the compositing revolution and do your part for the environment. You will be surprised at how a bit of composting education can transform your waste production. Compositing is the act of using decomposing organic matter, turning it into a soil conditioner. It’s nutrient-rich, and those who love to get involved in gardening refer to it as “black gold”. It’s an excellent way in which to revitalise your soil while taking care of garden waste and green waste in the process. You will be pleasantly surprised at the amount of food scraps and other things you are throwing into landfill, that can actually benefit your garden. Fruit and vegetable scraps, egg shells, coffee grounds and filters, paper products, rice, pasta, chips, bread, cheese, cereal, crackers, seaweed, hair, cotton, nail clippings, dryer lint, ashes, and latex balloons are just a few of the many options. In essence, almost anything you can break down is beneficial for your garden. That list doesn’t even extensively cover garden waste and green waste such as lawn clippings, twigs, leaves, and dead plants. Don’t underestimate how dramatically the act of compositing can empty your rubbish bin marked for landfill. Many people get a lot of pleasure from gardening, but composting with garden waste, green waste, and other ingredients can be equally as satisfying. What’s more, there is a range of benefits on a local and global scale. Many people with a lot of garden waste or green waste will see the benefits of composting, but may not know how to get started. Then, there are those who don’t dabble in too much gardening but would like to reduce how much of their trash goes into landfill. Whichever category you fall into, you will be pleased to know that composting is an effortless process – and one doesn’t require you to be a seasoned gardener. The first step to backyard composting is to set up an area in your yard for the process. Ensure it’s near a water source and as far away from your home as possible. Remember, the compost bin or area will feature a lot of garden waste, green waste, and smelly, decomposing products. As a result, you won’t want it too near an outdoor dining area! You can either use a bin or create a pile – whichever you prefer. Begin by adding brown and green waste as you collect it, shredding and breaking up any large pieces as you add it to the bin or pile. When you add any dry products, wet them to keep them moist. After establishing your compost pile, you can add grass clippings and green waste, burying fruit and vegetable matter underneath the newly created pile. In warmer regions of the country, it can be challenging to stop compost from drying out – at least on top. Therefore, you can keep a lid on the bin, or cover the compost pile with a tarpaulin. It can take between two months and two years to create a layer of dark, rich compost (toward the bottom) that’s ready to include in gardening. For those who don’t have a backyard or even a strip of lawn for a garden, it can be more challenging to jump aboard the composting bandwagon and give the environment a break. However, did you know you can do some composting indoors? While it’s not suitable to begin throwing scraps in the middle of your living room, there are specially sealed containers you can buy that break down food waste, green waste, and other waste so that you can reduce your footprint. While this method is one that may have unwanted rodent visitors gracing your doorstep, it’s still a valid option if you’re interested in creating “black gold” for the gardening community. Composting is not for everyone, but you will be surprised at not only how beneficial it is, but how little effort it takes. By choosing to put your waste back into your own property, you’re able to keep more of it out of landfill and shrink your ever-growing environmental footprint at the same time. What’s more, if you have to pay for your wheelie bin service, it means you’re able to save space and potentially money in the long run. Jump on the composting bandwagon and reap the rewards sooner rather than later. Garden gnomes started as a tradition over 200 years ago and continues today. Our plastic or plaster garden gnomes today are different than the original ones in the 1800s. Believe it or not, these clever decorations have a fun history! Garden statues are a long-standing tradition dating back to the Renaissance. People believe that these little human-like statues would keep away evil from those that live in the house. Garden gnomes originated in Germany in the early 1800s, and producers created them out of clay. By the 1840s, the craze reached England and slowly appeared throughout the country. Baehr and Maresh of Dresden created these early gnomes. From there, their popularity grew rapidly. By the 1870s, two large, German companies started to mass produce garden gnomes. These companies were Philipp Griebel and August Heissner, but Heissner became the most popular German manufacturer. The love affair with gnomes continued, but World War I and World War II stopped a majority of the German production. Many of the warehouses faced destruction throughout the wars. The popular Grimm Brother’s Fairy Tales contributed to the popularity of garden gnomes. “The Gnome” was one of their short stories that featured gnomes, and it depicted gnomes in a benevolent and malevolent light. These stories continued and encouraged the craze! The 1960s brought plastic recreations, but most people didn’t like the cartoonish appearance. Companies located in the Czech Republic and Poland started to create their versions in the 1980s. Now, one American Company, Kimmel Gnomes, continues the tradition of crafting garden gnomes of clay and resin. Why Put a Gnome in Your Garden? Gnomes are a symbol of good luck, so placing them in your garden should bring luck to your crops and livestock. In the 1800s, a plentiful harvest meant more than having too much zucchini; it meant your family would have food. A bad harvest meant a long and hard winter. Old world farmers believe placing garden gnomes on their property would bring some good luck to help their fields produce more and stop pests. Many silly stories surrounded gnomes! There are stories that gnomes can move through the soil, but they only move at night. During the day, gnomes turn to stone. The term gnomes comes from the name “genomus” which means earth dweller. The idea is that these clever little statues come alive at night and assist with landscaping and gardening chores left uncompleted. What Do Garden Gnomes Look Like? Chances are you can picture a gnome in your mind. We see them on TV movies and advertisements. The classic look is a short gnome with a long, white beard, a red hat, and simple clothes, such as blue pants and a shirt. Female gnomes have longer hair, a red hat, and a dress. You can find garden gnomes in all sorts of different costumes and configurations. There are gnomes with built-in solar lights, gnomes that fish, drink beer, moon onlookers, sniffing flowers and more. The options are endless; the limit is up to the imagination of the manufacturers. Gnomes are making a comeback, so it’s the perfect time to add one or several to your garden. Aside from being adorable, they are supposed to bless your gardening attempts, so its worth the consideration. Here are some tips for using garden gnomes in your garden. Stick with your personality and hobbies. You want gnomes that reflect you and your family. If you love to fish, a cleverly placed gnome holding a fishing pole near your pond would be adorable. If you love to read, find one that is holding a book to place near your favourite reading spot outside. Look for quality gnomes. Plastic gnomes look cheap, and their colours will fade over time. Resin or clay are stronger materials that won’t lose their bright shade of colours. Make a fairy garden. Fairy gardening is all the rage right now! Gardeners are making separate fairy gardens, or they are blending elements into their existing garden beds. Fairy gardens can be as simple or as complex as you want! A garden gnome fits right in with the décor! Hide them around your property. Finding secretive, yet funny, places to hide your garden gnomes can be a clever game. Place one in a tree or behind a rock. Look for places that your neighbours might laugh when they notice the gnome cleverly placed. Put a gnome near a water feature so that he can look at the sounds and sights of the water. It might be a fountain or a pond. If you have a gnome that is sitting down, you can place the gnome on a rock with his feet dangling towards the water. Make sure your gnomes are near family activities. Put your gnomes near the patio or deck, wherever your family loves to gather. You can place a gnome in a pot with flowers; container gardening and gnomes work great together! Gnomes love to participate in family activities. Have you heard of the term “gnoming”? There is a game that involves stealing garden gnomes. It is a silly prank that people continue. Some people go so far as to travel around the world collecting – aka stealing – gnomes from gardens in different countries. So, if you decide that you need a garden gnome for your landscaping or vegetable garden, remember that there are gnome lovers who want to liberate gnomes from their servitude. Your lovely garden gnome might wind up missing, and then you might get sent back a picture of the sites your gnome visited. No matter how you decide to place your garden gnomes, remember that a natural setting is best and you want a gnome that reflects activities you regularly do. You might find some of your gardening tasks are taken care of when you wake up. A right of passage for many kiwi kids. Driving the lawn mower has always been a good bit of pocket money, and a step towards getting a licence for many. Mowing the lawns is engrained in NZ culture as we’re lucky enough to have so many properties with a decent patch of grass on it. So when did the first lawn mower come about? It's hard to remember a time when we didn’t have lawn mowers. Before the lawn mower was invented, we must have done something to keep our homes from becoming jungles right? In the beginning, people didn’t have ‘lawns’. Everything was either occupied by livestock that kept it short, or was a patch of dirt. Come the 1820’s, some decided they would enjoy a trim turfed lawn. So instead of having your cattle trample all over it, you would need to employ a scythe man to cut it. A specialised man who had the knack of cutting an even height of grass with only shearing blades or a Scythe. Employing someone to cut your lawns with scissors was definitely not affordable. So only the elite had ‘lawns’. It was quite a status symbol to have a nicely kept yard. The 1830’s trend of having trimmed lawns increased, and one smart engineer Edwin Beard Budding built the first (first patented) mechanical lawn mower. From Gloucestershire, England, Edwin first thought of the idea after seeing a mechanism in a cloth mill, a cylinder that cut the cloth smooth after weaving. He teamed up with a local engineer and they built a machine based on the cloth mill concept. A push mower, very similar to manual ones still seen today, except this was made of heavy cast iron, complete with wheels, a rear roller and a rotating cylinder of blades at the front. Budding’s patent said “country gentlemen may find in using my machine themselves an amusing, useful and healthy exercise." The mowers took two people to use! One person to push, and one to pull. More than a healthy exercise by the sounds of it. However, the London Zoological gardens were the first to purchase these iron mowers for their large lawns. Budding intended the machine to be for large estates and sports grounds, like the London Zoological gardens. But his invention did more than that, it made having a trim lawn available to more people. Lawns were slowly becoming more attainable for all classes, less of a symbol of status. With the invention of the lawn mower, sports games were able to develop quickly. Some refer to this as the “Budding effect” as the invention created many flow on inventions and economic growth. Lawn bowls - Well cut grass meant lawn bowls were now not only for the rich that could afford to employ a scythe man. Football - Now easier to maintain a decent pitch, football took off. Budding was a football fan himself, some say it motivated him to create the lawn mower. Cricket, lawn tennis, sporting ovals and countless other ground sports now take advantage of lawn mowing patterns. Over the years, many people replicated Edward Budding’s original design. From 1830 - 1850 Budding and his parter had a patent on the product. During this time they licensed other companies to produce it, but after it was terminated in 1850, it was free reign for all to invent. From this time until the 1850’s companies produced variations of Buddings original design, but only under a licence. Early models of horse drawn mowers were designed (which of course had previously taken two people to push as it is cast iron). This didn’t suit everyone as the horses would trample gardens with their hooves. As a result the horses had to wear leather booties to prevent impressions on the grass - which sounds like a challenge in itself to organise. Budding's patent on the lawn mower was terminated and Thomas Green created the Silens Messor. Meaning ‘silent operation’ which was an immediate success. Using chains to transmit power from rollers rather than gears, it was more quiet than those before it. You could also get add-ons such as a clipping box. This was one of the first commercially successful mowers, over a million were produced until World War Two when production stopped. Elwood McGuire designed a push mower that was much lighter with less moving parts, more functional for the everyday person. Steam powered lawnmowers were invented. This was quite a bulky machine with a water boiler, steam cylinders and a seat to ride up top. It took longer to heat the steam than to mow the lawns so gasoline powered mowers rose in popularity over steam. The United States manufactured a gasoline powered mower thanks to Colonel Edwin George. However, being created around The Great Depression, it didn’t take off straight away. It wasn’t until after World War Two that it rose in popularity. The electric powered mower, also rotary cutting blades were developed, but again were not mass produced due to a lack of demand at the time. Variations with lighter plastic were continually adjusted into what we see today. We can see the evolution of mowers from scissors, to manpower, horses, steam, gasoline and plastic. But the original design has stuck to what we see today and many people still purchase mowers that have the same design from 100 years ago. So the real question is; where will we be in 100 years time? For now though, we're still convinced that the best lawns are the ones looked after by Crewcut. If you have a lawn that needs mowing, be sure to contact us for a free quote. Crisp and sweet, yet tangy and soft, the taste of fresh feijoas cannot be replicated. For New Zealanders, feijoas seem to be everywhere at the moment. Like a yearly epidemic sweeping the country they are being offloaded into workplaces in any form possible. For those with fruiting trees, hundreds of the green morsels will be carpeting your lawn (and also possibly your neighbours). We know it can be difficult to keep up with picking, and would hate to see these tasty fruits go to waste. Here is some of our best advice on how to maintain and deal with your abundance of feijoas this season. If eating raw feijoas day after day is getting a bit tiresome, try these easy recipes to make use of a few cupfuls. The classic feijoa and apple crumble dessert will never miss the mark. A great warmer on colder evenings and easy enough to get kids to help out with. But if you’ve already made enough crumbles, have a go at this feijoa crumble slice from NZ’s Nadia Lim as a lunchbox treat. Feijoa, date and ginger loaf, another great lunchbox addition that keeps well and uses lots of feijoas! Great toasted for breakfast with lashings of butter, or as an afternoon snack. Feijoa ice blocks! Enough of the baking and extra sugar, simply blend feijoas, canned pineapple and some orange juice together, then spoon into ice block moulds. Kids will love them and they are a healthier dessert option. Feijoa and white chocolate muffins, these have a bit more flavour than just plain feijoa muffins. The white chocolate adds some luxury to these easy muffins and are sure to impress. Freeze them and save for later. Just peel and throw in some freezer bags. Great for baking a few months down the track, or to toss into a smoothie. Feijoa chutney, simple to make and very delicious! Beats paying big bucks at the supermarket and is great with crackers, sandwiches in cooking and so much more. For something a bit sweeter and slightly more adventurous try a Feijoa Jelly. A little more preparation is required, but the result is very unique. But best of all, no peeling involved, wahoo! If all else fails and you’re almost tossing your falling fejoias straight into the compost - get your kids to set-up a stall selling them. Buy or reuse bags, and set-up a manufacturing line with your kids. They can make signs, set-up a table outside and make a few extra dollars. Very popular for those who’s only access to feijoas is for $7 a kg at the supermarket! If you have missed out on the feijoas this season, it’s not too late - you can plant one now, or any time of the year really. Autumn is a great time so the roots can settle in and get ready for growth in Spring. If you are in a colder climate and could be expecting snow, hold off until the soil is a bit warmer during Spring time. There are a few different types of feijoas out there, so you can do some research and plant your favourite. Why should you plant a feijoa tree? Feijoas are great for the garden and super easy to look after. If you want to feel like successful gardener these are definiely the way to go! Feijoa trees are not affected by many diseases or pests and with a little compost and feed once a year you are good to go. It is best to let your feijoas ripen naturally on the branch. When they do fall, don’t let them sit for too long on the lawn as the dew on the grass will make them go bad quickly. Gently pick your feijoas from your tree by cupping the fruit, and lifting gently to see if it will fall off without much effort. Feijoa trees also make great hedges. they stop wind and will grow just about anywhere as they can cope with a bit of sun, snow and sand. The Sellowiana feijoa is most commonly used for hedges, the type of feijoas they produce can vary - mostly producing small and sour fruit and great for pollinating other trees. They will generally grow 1.5-2m wide so make sure you plant them a good distance apart. The best time to prune your trees are the winter after fruiting. For your hedges it is best to cut them back about 1/3 in size, you can do this once a year. 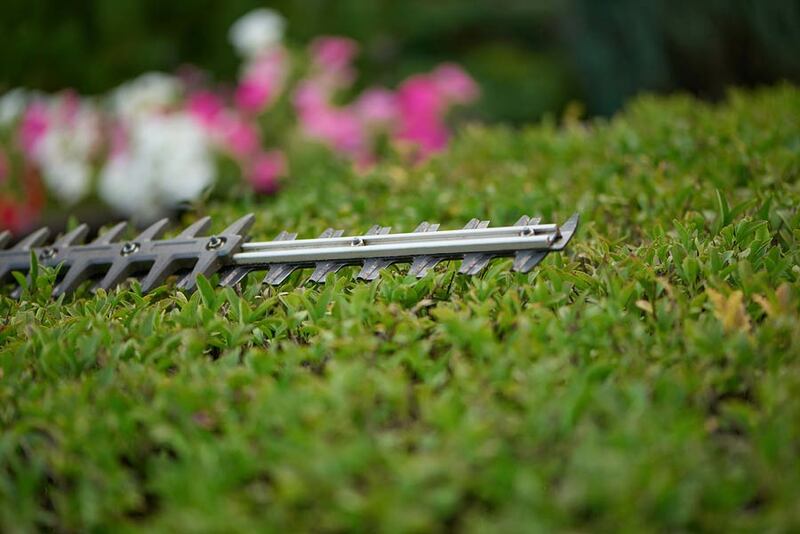 If you have a large hedge that might require some equipment definitely give your local Crewcut operator a call, as most locations offer hedge trimming services. For regular feijoa trees (not for hedges) pruning isn’t necessary, but if your tree is struggling to produce fruit this could help. Prune it back after fruiting in winter and you may find that with more branches exposed to light, next year will be more fruit. Feijoas can definitely become a garden nuisance if you don’t keep an eye on them. You miss a few days and the whole lawn could be covered, so try to keep up with them this season and make use of them all! Try not to let them sit too long on the grass, if you can, sweep them out of the way and into the compost if they are rotting. Your lawn mower will thank you, and it will deter animals from taking all the good fruit left on the tree. Good luck, and happy harvesting! As we advance into a more technological age, the art of gardening is becoming more and more redundant. We notice that increasingly, people want ‘low maintenance’ instead. But having a flourishing garden with shrubs, flowers, fruit, and vegetables is one of the most rewarding things. Kids today spend more time indoors looking at screens then they do outside looking at nature. Gardening is healthy and fun for children. Not only will it help with their understanding of how things grow; but they will learn responsibility, love of nature, proper nutrition, physical activity and knowledge of life. There’s also a great reward if the plants flourish as they will be able to physically see what hard work can earn. We will cover these areas in more detail below. Therefore, there’s no time like the present to get the gardening gloves out, gather up the children and get outdoors. Here is how to get your children interested in gardening. When you’ve been out gardening in the past, your children are sure to have, at some point, showed interest in what you’re doing. They might have enjoyed helping you to pick the fruits of your labour, or they may have even asked what you’re planting and whether they can help. Take this opportunity to offer your child their own piece of the garden to create and do with as they please. Whether it’s a back corner you’re not using yourself or a small tub they can use to plant a few things, they are sure to jump at the opportunity. Children are very inventive, and when you give them the freedom to create something unique, they will often put a lot of time and effort into flexing their creative muscles. However, it’s crucial to make sure this area you’re giving them is going to produce. Poor soil, drainage or a historically poor-performing part of your yard is not going to give your child a lot of confidence when plants fail to grow. Instead, make sure the soil is primed and ready to go – or help them to do that themselves – and offer a balanced mix of sun, shade, and moisture. Standard gardening equipment for adults is typically not something children will find easy to use. Large garden forks can be cumbersome and heavy, while shovels are typically bottom-heavy and not easy for children to lift. To get your children enthused about their new piece of garden, take them on a shopping trip. Many garden shops sell gardening equipment specifically for children looking to discover their green fingers. From gloves and gardening aprons through to small garden wagons, forks, and shovels – all manner of gardening tools are now available for the smaller members of our families. What’s more, they are often for sale in vibrant colour schemes to encourage creativity and fun. Gardening can be fun, and tools just for them is sure to promote that. As previously mentioned, gardening can be a lot of fun, but you have to put time and effort into making it so. If you have more than one child who has begun to show an interest in gardening, have them both get to work on creating a sketch of their new patch. They can discuss their ideas for what to plant, how to plant them, and how to bring life to their own garden. Not only does it become a fun project that lures them away from computer screens, but it also encourages them to learn about teamwork, sharing, and innovative ideas. From the initial sketch phase, it may also help to work with them to choose vegetables, fruit, and flowers they can grow. This is where your expertise should come in, as you don’t want them to plant something you know will not grow in our climate. If you don’t have green fingers and your children are new to the world of gardening, then use this inexperience as an opportunity to get out and about. Take the kids to public gardens, gardening events, and even the gardening store. Invite them to talk to shop attendants and learn all there is to know about their new chosen passion. Your children are not only learning valuable gardening skills for inspiration and ideas, but they are also learning to communicate with others as well. Many parents buy their children a pet to learn responsibility and ownership. The deal is generally that the child must feed it, take it for walks, and care for it. However, as many parents will have experienced, some children lose interest in doing those things fairly quickly, so the task of caring for the new pet falls into the hands of the parents. Instead of investing in a dog or cat to achieve responsibility and ownership, invest in a new garden instead for the same results. Your child’s new job is not only to plant, water, and maintain the garden but to keep the plants alive too. They will take pride in this ownership, especially as the plants begin to grow, prosper, and are then ready for harvest. Then, you can look at the smiles on their faces as they eat freshly grown fruit and vegetables they produced all on their own. You don’t have to have the greenest thumb to get your child interested in gardening. It’s all about ‘planting the seed’ (see what we did there) so that your children may grow their own healthy garden to share for future generations. The decorations are out, the heatwave is growing stronger, and days are getting longer. All signs of a looming Kiwi Christmas. Are you spending more time in the garden leading up to the big day? Whether you’re just tidying up the garden, or decorating with lights - Crewcut couldn’t be happier to make your lawns and gardens look their best. Many of us get into the Christmas lights spectacular - which is such a cool way to redesign your garden just in time for Christmas. We’ve compiled a list of some of the best lawns and gardens to check out this time of the year. 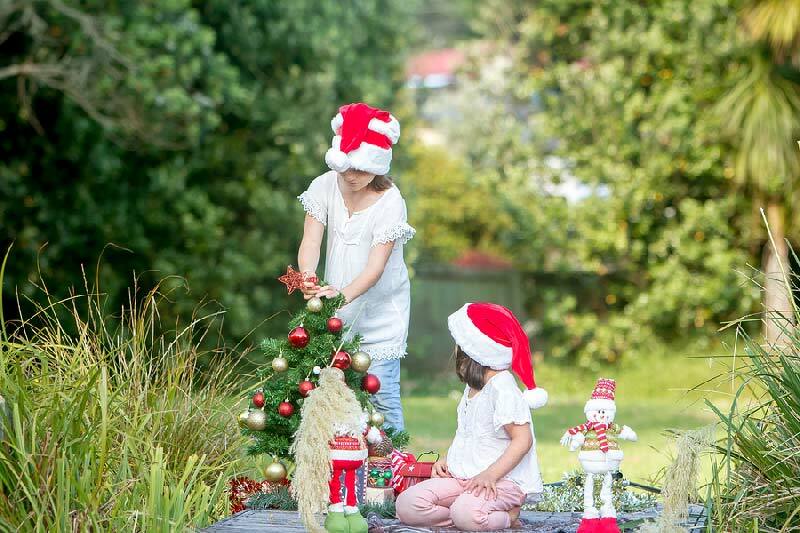 Of course this goes without mentioning - an Auckland Christmas tradition. Everyone's lawns are neatly mowed with decorations adorning every front door and garden. Carollers sing a festive tune and cotton candy hides the smiles of young children. Each year the Karaka light show draws in crowds because of the grand light decorations. Truly not to be missed! Boasting to have plenty of Christmas decorations inside and out! Maybe a Santa’s grotto is waiting for you and your family in the backyard! Check them out, 7-11pm, from December 19-23. Such a magnificent use of the front and back garden - with beautiful Christmas lights and inflatable Santas. Be sure to check this one out! This place has really utilised full capacity of their front yard, creating a beautiful space. Even has a realistic Santa clause too! If you're into pyrotechnics, you'll absolutely love this! With a full light display, you'll be standing on the front lawn, entertained for ages. Fairy lights, fairy lights, and more fairy lights! This property has gone all out with decorating the grass with multi-coloured lights. Such a simple and effective take on the Christmas lights celebrations. If you've ever watched 'The Block' or a home and garden show, you'll know how important it is to enclose your property with either a fence or hedge. Aside from the aesthetics, they have plenty of practical positives as well. However, there has been hot debate on which is better - fence or hedge. So who comes out on top? Because many hedges can grow to pretty decent heights (some can get to 2 metres! ), you can be assured that your privacy will be maintained. This means a reduced risk of mischievous, thieving eyes peering into your backyard and home. Alternatively it means you can saunter in your stubbies around your garden in peace. Hedges work brilliantly as a sound blocker. If you have noisy neighbours or are close to a busy road - you should definitely consider having a hedge. A dense hedge can reduce the decibels of noise by up to 50 percent. Most fences on the other hand, do very little for noise control. If you are interested in noise control with fences, you will need to consider brick or thick wood. While fences take the brunt of wind gusts, sometimes it can prove too much and causes the fence to topple over. However, a hedge will slow down a lot of the wind while allowing some to pass through. Hedges are great for our wildlife! Birds stay in them, flying insects and bees carry nectar from the plants, and a neighbouring hedgehog will call it home. If you have young children - they will really appreciate all the extra wildlife the hedge will bring to the garden. While a fence can look a bit boring, hedges can add a textured and interesting background to any garden. Some hedges even grow interesting flowers - a two in one surprise! Fences often have plenty of upkeep and can get worn down very quickly. A well maintained hedge on the other hand will continue to look nice for as long as it's looked after. All it needs is sunlight, water, and 1-2 sessions of hedge trimming a year. Crewcut offers affordable hedge trimming year round, and nationwide! Plenty of real estate agents agree that a well-maintained and trimmed hedge adds plenty of value to your property. This is particularly pertinent when it comes close to sale time of the property. So have you been sold on hedges? If you need more help and advice on how to best look after your hedge, make sure to ask you local Crewcut operator. As we come into the sunny months, time spent in the backyard will be much more enjoyed with a nice hedge surrounding it. As the age old saying goes: "Money doesn't grow on trees", however, you can grow your money - in your backyard. With the average house in Auckland selling for 1 million (as of May 2017), you could add even more to the house value by having a well maintained garden and lawn. While renovating other areas of the house are sure to make their improvements on the sale price - nothing sells more than the green, green grass and foliage you have outside. In fact, it can raise the value of the property by 16%, which is today's market is around $100,000+! Potential home owners love to see outdoor areas they can raise their children in, relax in, or just have room for a fun-loving dog to run in. The extra space is a luxury as houses grow closer and closer together. If you have a lawn, take advantage of it with some regular lawn mowing and extra TLC. Crewcut's Auckland lawn mowing team covers all parts of the city and beyond - so if you need your lawns mowed, we're ready. Father’s day is coming up, do you know what you might be getting? New underwear? Perhaps a box of chocolates? Or maybe another ‘best dad ever’ mug? While these are ‘mighty fine gifts’, we know you’d prefer something a bit more satisfying. When the gardening needs doing, or the lawn needs to be mowed, are you often left with the job? While Kiwi dads are built on the ‘can-do’ attitude, sometimes this mantra gets taken advantage of by others in the family. Dads out there, we hear you. This year, you should be able to sit back with a beer (or cup of tea) in hand and get a company like Crewcut to mow the lawns for you. Enjoy the time with your family instead and leave your backyard to the experts. We think that’s the ultimate Father’s day gift. So send this to your kids or partner as a subtle memo that ‘hey, I don’t want socks this year’. Ask them instead to treat you with the gift that keeps on giving - the gift of never having to mow your lawns again. You deserve it, because as a Kiwi father, you’re a cut above the rest. Trying to get your children outside in the winter holidays, particularly when the wintry weather isn’t overly appealing, can be challenging. While you wouldn’t dream of sending them out when it’s pouring down with rain, it’s important to use those breaks in the weather to your advantage. Staying cooped up inside during the school holidays isn’t fun for anyone. While the kids are probably more than happy to lounge around watching TV, playing computer games or browsing the internet on their tablet, there comes a time when leaving the house is as much for their sanity as your own. Here are just a few of the many options – from things you can do at home, to extensive holiday programmes that cater to your children’s needs. There’s an abundance of activities to do here during the school holidays, including nature challenges, kids vs. wild, Matariki mobiles and much more! And if you can't make it to the programs, children love walking around the gardens and learning about all the various plants and flowers that make this garden so full of life. Winter growth is very unique which makes it the perfect time to visit the gardens. If you’re in Wellington, your kids are going to love the Wilder Kids programme. Aimed at 5-12 year olds, your children will have a fun outdoorsy day learning about nature, creepy crawlies and how to protect everything in New Zealand’s big backyard. The programme runs every school holidays, and while winter limits outdoor time, your kids will still be learning heaps. Safe Kids in Daily Supervision (sKids) has become New Zealand’s most significant private supervised care facility. While they provide your children with plenty to do after school, they also run holiday programmes to appeal to many. From cooking and sports through to making huts, music, dancing, and taking outings, you will find every child will enjoy everything this programme has to offer. While the outdoor components of this holiday programme are weather-dependent, you are sure to see even the indoor activities challenge your children to try new things and enjoy a unique environment that may be a little outside of their comfort zone. What’s more, sKids has programmes throughout most main centres in New Zealand – from Otago all the way through to Auckland and everywhere in between. If your children fall into that age gap that makes them a little too mature for most holiday activities, they are sure to love what Auckland for Kids has to offer. Not only do they cater to young school-aged children, but teens and pre-schoolers as well. Therefore, you can rest assured there’s a vast range of activities that surely mean you won’t need to drag the kids out of the house – they’ll drag you. You can choose from general holiday programmes with a little bit of everything, or something more targeted. From art, cooking, and sports through to dance, drama, photography, and film, there is so much to experience these school holidays. If it’s been that long since your kids have been outside that they no longer remember what the yard looks like, then it’s time to rug them up then kick them out. When there’s a break in the weather, there’s no harm in the kids putting down their electronic devices and finding something to do outside. If you’re waiting for the “I’m bored” to fill your ears within mere minutes, then give them a project. They could learn how to prepare the garden for winter crops or learn how to create a hen house. Or, if they want to earn pocket money to do something with their friends, they could get their hands dirty and remove all the dead plants that fell victim to harsh winter frosts. The backyard is a blank canvas for activities; the kids just need time to see it. It’s all too easy to let the kids stay inside on their mobile devices all day because it keeps them quiet and out of your hair. However, given the holidays span for two weeks, and even more over Christmas, it’s not something that can fill all that time. For these holidays, why not get them interested in mini winter sports? If your backyard is big enough, they can set up a course in the yard to play on. Golf, cricket, and soccer are all valid options. Even if the grass is a little soft, it will get them outside and active, albeit, a little muddy. Wintry weather is never pleasant to venture out in, but it’s also not convenient to be cooped up inside all day either. Even if the kids are happy to stay warm by the fire, it’s a good idea to get them involved in projects that will stimulate and challenge them. There are several excellent holiday programmes throughout the country that provide all manner of activities. However, if keeping them at home is far more convenient, then you will also find your backyard has more to offer than you think. In 2015, local artist Tony McNeight created a giant poppy in the Auckland Domain with over 59,000 metal poppy discs. People of all ages came down and wrote heart felt messages on these poppies to collectively create the biggest poppy ever. Tony has a strong connection to the Anzac commemorations as his family members served in WW1. This project is for all that feel like they can’t or haven’t been able to truly say thank you to those who served in WW1. There’s something inside of us that wants to keep this fire burning….it’s a fire of freedom. For young people it’s an opportunity for them to find out about their great grandparents and what they did and who they were. What sort of people they were, what sort of hardships they went through - terrible hardships. During the 9 days that the poppy was being created, Frederic Leturque, mayor of Arras (a town in France) came and placed a poppy. He recently requested Tony to recreate the Giant Poppy in a town square in Arras where there is strong historical connection. During WW1, Kiwis helped the French by building a large map of underground tunnels that were used to store animals, troops and hide behind enemy lines. During this time, many gave their lives to protect our freedom and the freedom of the French people. This kind of connection is what the French people want to remember, commemorate and give thanks to. Potential home buyers make their first impression on your property from the ‘curb appeal’. When it comes time to put your home on the market to benefit from the high Auckland house prices, you probably think you need to spend money on the kitchen and bathroom. While there’s no denying that those areas could benefit from love and attention, have you thought about your front and back yards? The garden area of properties is often the most overlooked when people begin preparing their home for sale. Considering Auckland house prices are on the rise, it’s worth doing everything you can to bring your property up to spec. In the Husqvarna Global Garden Report 2011, around 5,000 homeowners, valuers and real estate agents from nine different countries discussed how a good garden can dramatically increase house values and sale time. While, of course, you’re going to take care of lawn mowing, gardening, getting rid of weeds and planting some instant colour, but you may also like to consider a few beneficial changes. Gardening expert Lee Ann Bramwell knows all about how to put your property in a league of its own. She has shared some helpful tips below. Line your driveway with trees for immediate feelings of wealth and status. Create an entertainment space. In it, include outdoor furniture, shrubbery, patio pavers, and of course, a barbecue. New Zealanders love entertaining so a pre-made area can tick all the boxes for a prospective purchaser. For feelings of safety and intimacy, consider a walled garden. Rather than use blocks and bricks, however, you can get your gardening gloves on and utilise hedges, shrubs, fences, and even pot plants. It can be challenging for some homeowners to create vegetable and fruit gardens. But, if you take care of this before you put your home on the market, you may find you have one very relieved and keen owner. If all the hard work is complete, you’ve essentially filled the new owner’s fridge. Because the Global Garden Report estimates that the average return from your garden investment is 3.1 times the amount of money invested, there’s every reason to consider putting your gardening gloves on and thinking outside the square. We’ve included a few more “out of the box” money-makers below. The sooner you make a change, the sooner you can benefit from those high Auckland house prices. Believe it or not, nothing says “unloved” with as much gusto as a fence that’s peeling, faded, and looking a little sad. Given that your fence is the first thing prospective purchasers will see, it’s not out of the question to make it a priority. While you’re outside gardening, give your fence a clean, let it dry in the sun, then take to it with a paintbrush. The newfound street appeal may just surprise you. Just be careful with your timing of taking care of lawn mowing. The last thing you want is fresh lawn clippings all over your freshly painted fence. For some reason, we can ignore niggly little problems our properties have because we’re so used to them being there. To an outsider, however, that problem may just be a deal-breaker. While you’re gardening, cleaning up, lawn mowing, and getting everything picture-perfect, take a minute to walk around your property as an observer. Would that muddy trail to the clothesline be better as a paved path? Is that pile of bricks from your last DIY project interrupting the flow? When a buyer spots anything negative about your property, they keep it in the back of their mind. Take the time to put yourself in their shoes and highlight and rectify the problems before your open home. The last thing you want is for muddy grass to stop you getting the Auckland house prices you desire. Lighting can turn an already serene backyard into a magical, bright, and beautiful entertainment area. By adding solar lights to your garden beds, fairy lights in your social garden, and hanging lights around meeting areas, you will find you will have added a substantial amount of value. Lighting can also turn a “day” garden into one you can use at night. What’s more, it has the added benefit of being a deterrent to thieves. When you highlight those darkened areas of your yard, you are deterring would-be thieves from thinking they can enter your yard unnoticed. The time of the year that you choose to put your house on the market can make a difference to its overall appeal. In the summer months, you can be out gardening, lawn mowing, painting fences, and keeping on top of general maintenance. In the colder months, however, your gardens can lay dormant and can, unfortunately, appear rather dismal. However, even when the colder weather hits, the Auckland house prices don’t let up. It doesn’t matter when you list; you are bound to find an interested buyer. However, it does make you think about the changes you can make. If you are planting new shrubs and plants in winter, be careful with the variety you select. Some do not like the cold or frost, which means they can be mid-death as your prospective purchasers arrive for a visit. There are several guides online that can help you to determine what is safe to plant in winter and what you’re best to leave out. Crewcut understands the value of gardens which is why we spend so much time in them. If you need help getting your garden spick and span, give us a call. We do lawns, hedges, trees, water-blasting, and section tidies. You never know how much money we could make you in the long run! Here’s some Fs with the change of seasons: think fruit, flying insects, fungus and fertiliser. No, its not that easy to remember is it? But good advice for this time of year! Remove old flowers to make room for autumn and winter bloomers and this weather is still warm enough to get some bulbs in now. Simply place them with a handful of rich compost in sunny open positions. Once your fruit trees are fully harvested, nows the best time to spray while the weather is still warm. If you haven't done so already, hang up garlic and onions to dry. The vegie patch is ready for brassica, carrots, radishes and parsnips, but be on alert for white butterflies and aphids as they will destroy young plants if left unchecked. Fungus will present with the hot humid weather in the form of powdery mildew and rust. Remove leaves from affected plants to allow air to circulate and let in sunlight . You can also talk to the Crewcut team about sprays to use. This is a great time of the year if you’re considering lawn planting or re-sowing by pre-fertilising now. The Crewcut team can assist with ground preparation and advise on which seed to sow. Let us know if you’re falling behind, we can provide help in any area to keep your garden on track.